This photo needs no description. 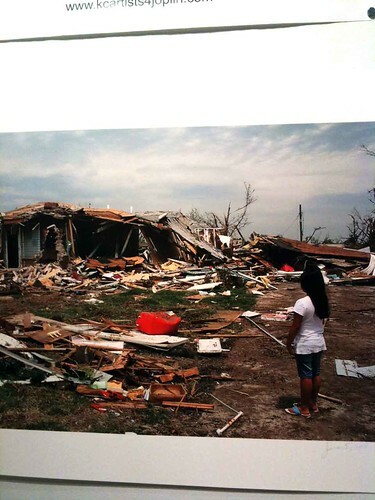 I had the privilege to meet the woman in this photo the night of the auction. 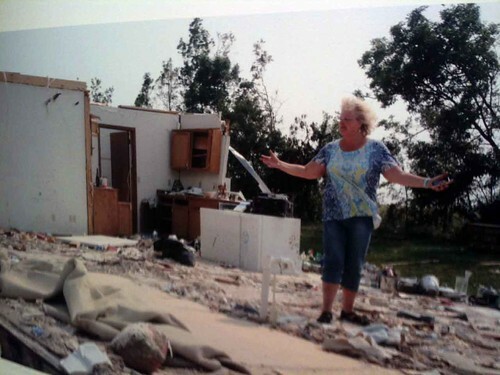 Anne lost everything in her home. She shared her personal story with my mom and me, as tears filled her eyes. Yet, she had an amazing sense of strength and gratitude, and dare I say, happiness. She had a smile from ear-to-ear and said she could feel the love in the room. And oh was she right. 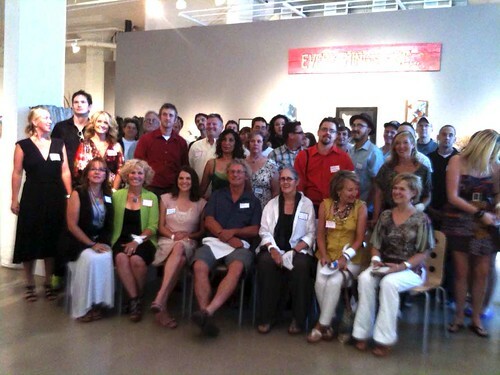 The love and care and compassion everyone was exuding that night was truly magical. This duplex has already been rebuilt and Anne’s landlord wondered if she’d be returning. She told us, “How could I live in a place and think, There’s where my mother’s china use to be, and know I didn’t have that anymore?” She showed us photos of her new home – a beautiful cottage with a wraparound porch. Anne is a grief counselor and this new house has a special place where she can work with her clients. 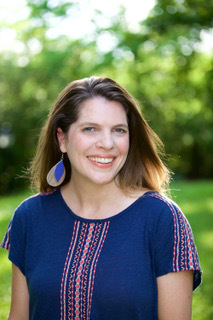 I asked Anne how this tornado has changed her life, and although it’s still so fresh, she knows it has given her a new sense of power, one she carries with her and shares with her clients when they are going through the many challenges they face. We hugged and thanked her for sharing. Meeting Anne was a blessing – she is such an inspiration. 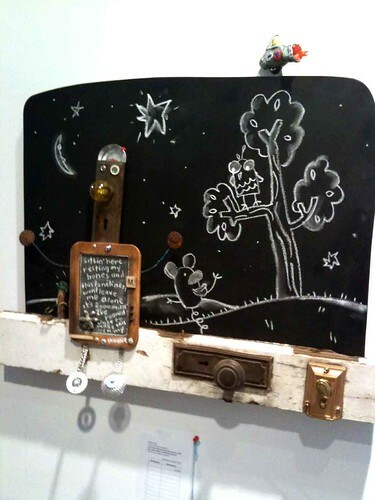 Here’s the chalkboard robot my husband created using parts of an old door. 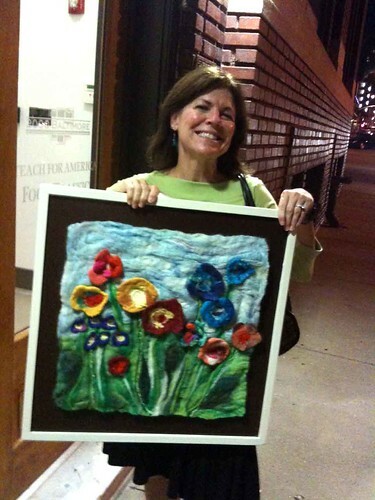 And here’s the beautiful woman who purchased my felted piece, “Rising Up,” – my mom! The piece had several other bidders, but in the end, my mom won, and she was so happy. And so was I! We had such a nice time sharing the evening together, which included many serendipitous moments, too. 160 people lost their lives. Many lost everything they owned. Many, many lives were changed forever. And this evening proved once again that we are resilient and hearts can expand beyond measure – especially when we connect, come together and help one another. 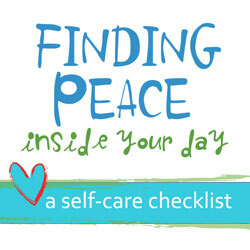 Your Personal Reflection: What are you grateful for – right here, right now? How can you be of service to those in need? You are such a love. I am a bit behind getting to your blog, but I am catching up. This is so beautiful. 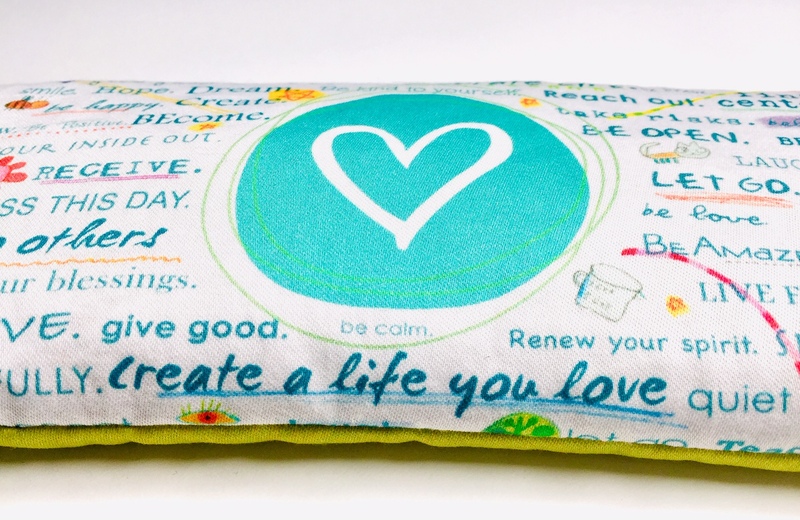 I am inspired by you and your hubs creating such beautiful art for such a beautiful cause. Wow! Thanks Angela! It was a very inspiring moment for me. And got me very excited to felt again.